Images of immigration reform rally and march in Denver, Colorado, October 5th, 2013. 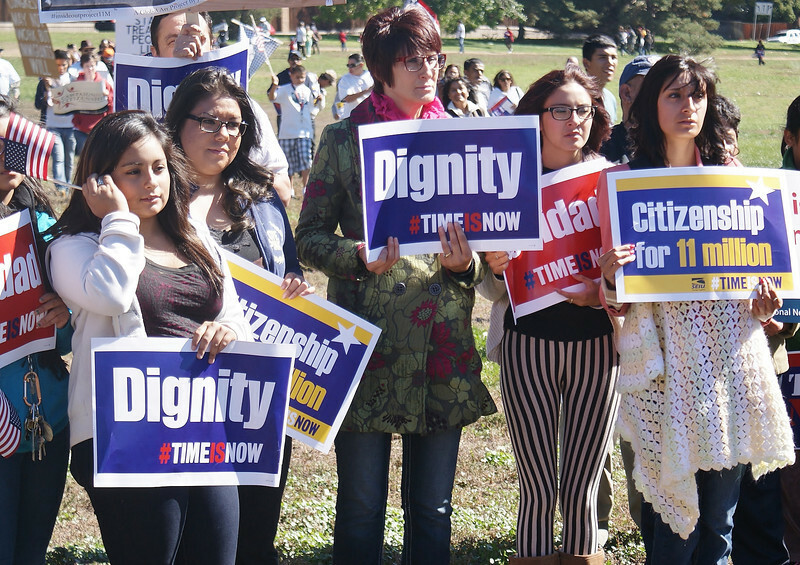 Includes protesters, mostly Hispanic men, women, including seniors as well as children and teenagers, with signs advocating citizenship and changes to current immigration law. Group of young hispanic women listen to a speaker at immigration reform rally.